The standout was the inclusion of The St. Regis Punta Mita Resort and the Four Seasons Resort Punta Mita among the “Top Ten Best Hotels in Mexico in 2016” by the Huffington Post. Punta Mita is among the microdestinations in the Riviera Nayarit that most stands out on the international stage as the leader in the positioning of the Destination in the luxury market. The following is a compilation of publications that have featured the Riviera Nayarit’s Glamour Peninsula. “Punta Mita is famous for being home to the most exclusive development in Mexico and its reputation keeps growing, thanks to the fact that it’s become the favorite hangout on the Mexican Pacific for celebrities, among other things,” commented Marc Murphy, Managing Director of the Riviera Nayarit Convention and Visitors Bureau. The Huffington Post online selected the top ten hotels in Mexico this year, placing The St. Regis Punta Mita Resort and the Four Seasons Resort Punta Mita in second and fifth place, respectively. Travel + Leisure picked the best beach hotels for families, where the Four Seasons held eighth place. The Happening recommended four Mexican destinations to hide from the cold weather and Punta Mita in the Riviera Nayarit was among them. The well-known The Brother’s Blog included the Four Seasons as one of the best hotels for golfers. 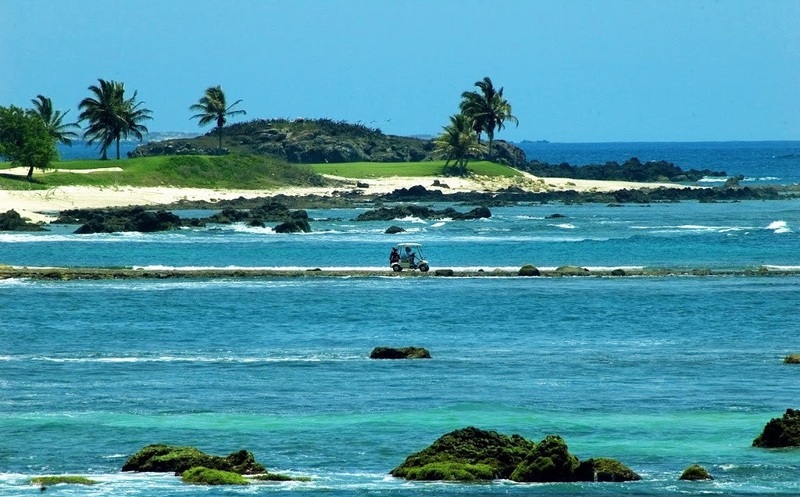 Punta Mita is synonymous with top-notch golf courses, which is why in Brazil the specialty portal Golfe focused on this microdestination’s greens. Additional kudos extended to the Bahía and Pacífico Golf Courses in Punta Mita were published in the Aguascalientes Heraldo and Estilo DF in Mexico City. Interestingly, there were articles published as far away as China and Norway. In China they published a list of the top 30 hotels in the world, where the St. Regis occupied 21st place, while in Norway the St. Regis again was mentioned among the top 10 best hotels in Mexico, as was Imanta.